Conducting Client Intakes - I Love ABA! What specific needs, strengths, and deficits does the client present with? Intakes can be small, or quite large. Many companies have the supervisor who will be working with the client conduct the intake, or if it’s a smaller company, one person may handle all new client intakes (company owner). The intake process should be consistent across individuals, and needs to be lengthy enough to gather important information. Some companies only allow 1-2 hours for intake, which is not enough time at all. It isn’t uncommon that intake may stretch over a few days, especially if other care providers are interviewed or observed, such as the Speech Therapist. I don’t recommend accepting a new client into your private practice or ABA program without conducting a proper intake assessment. The reason why is it will be difficult to properly create the treatment plan if you only have minimal information about the client. This can lead to poor quality “cookie cutter” programs where all clients who look like "this" get treatment 1, and all clients who look like "that" get treatment 2, etc. Even if important information can be obtained through a brief phone interview, these interviews are usually conducted by office staff. Office staff may have little to no knowledge of ABA treatment planning and often do not know how to gather the kind of information an ABA professional would need. Most of my intakes take anywhere from 3-4 hours to a few days, and include lots of paperwork. I usually send much of the paperwork to the family in advance, to save time during our actual meeting. This way I can get more into interviewing and direct skill probing, since the background information questions have already been answered via a questionnaire, or form. This is also a great way to begin record review, by having the family or caregivers send you relevant information such as recent psychological reports, the initial evaluation (the report done by whoever diagnosed the child), recent IEP, etc., before you actually meet the client. It won’t always be possible, but I recommend scheduling the intake visit at a time when the client will be present. Observation, interaction, and direct skill probing are critical to accurate intake, and you will need the client present in order to complete these steps. You also want to keep in mind that parent report can sometimes over or under exaggerate. If the child is actually present, you can test statements the parent has made, or probe for yourself. For example, the parents may state that the child always has a tantrum if they hear the word “no”. You could then set up a scenario where you tell the child “no” to something they want, and see if a tantrum occurs. 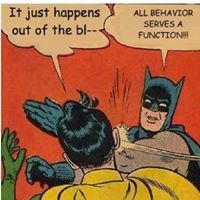 If a tantrum does not occur, that would tell you there is a history of reinforcement tied to the behavior that is causing the problem behavior to be exhibited in one setting (toward the parents) and not in another (towards you). The following is intended to be a guide to conducting intake assessments, and there is a link to a sample intake form below. Eligibility - This will vary greatly depending on the funding source, if you work independently, or if you work for an agency. Eligibility basically is determining if the client is eligible for services. Some funding sources require a diagnosis of Autism. 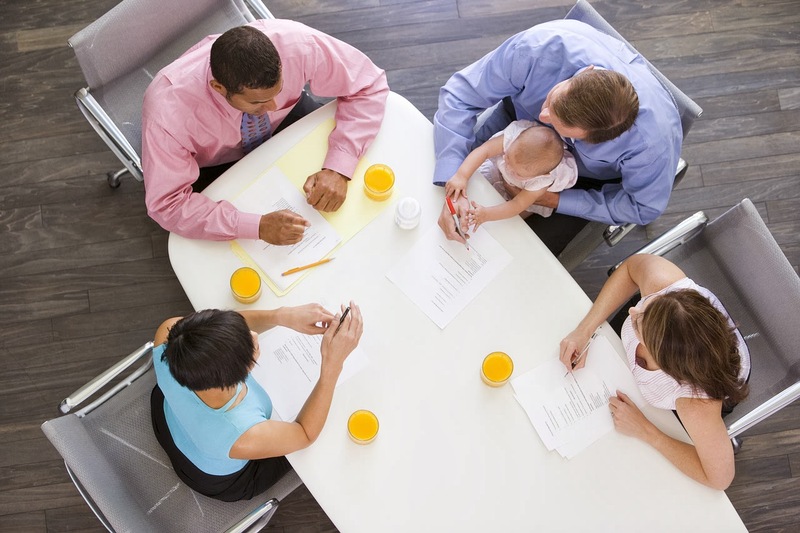 Companies may require that families complete parent training before they can begin services. If you work independently, you may create your own eligibility criteria that families must meet in order to work with you. Things to discuss during this portion of the intake process include: How will the family pay for treatment? What is the client’s diagnosis (and are there secondary diagnoses)? How many hours per week of treatment is being requested? Do your experiences and expertise qualify you to work with this client (e.g., you have only worked with adult clients and this client is 3)? Observation – This can include observation of parent/child interactions, as well as just observing the child. Observation should occur across environments, to gain more information about the child’s strengths and deficits. It may be necessary to explain to the family when your observation will begin, and what it will entail. I have met with families who tried to contrive scenarios during my observation or tell their child how to behave. To be most helpful, you should be a "fly on the wall" during your observation process. Sit in an unobtrusive place and refrain from speaking to the child or family. Take clear and detailed observation notes that reflect only what you saw (be objective). If you will be observing at the child’s school, this post may be helpful to read. Interview – The interview portion of intake is where you want to find out as much relevant information as possible about the clients history, previous treatments, current treatments, functioning level, problem behaviors, skill deficits, etc. I have found that approaching the interview as a conversation, versus a stiff and formal Q&A session yields better responding. I typically give the parents forms to complete the interview portion before we meet, and then we can discuss them in detail during our face to face meeting. Be sure to interview all relevant caregivers. If there is a regular babysitter who spends 5 hours each day with the client, that person is a valuable source of information. Ask about all the people who spend significant amounts of time with the child, and see if you can interview these people as well. If appropriate, siblings can also be interviewed. 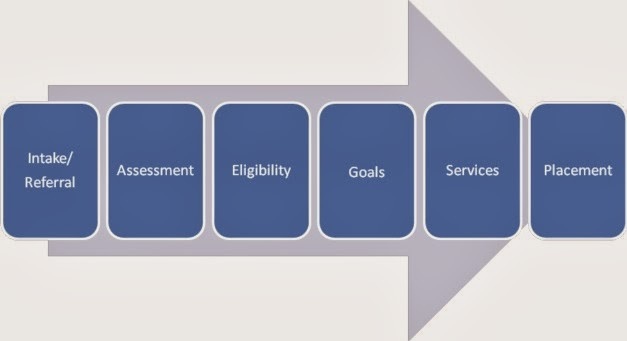 Assessment – The assessment process typically includes an assessment tool such as the Vineland, ABLLS-R, or VB-MAPP. These assessment tools will give a detailed snapshot of the clients skill functioning. Parents and caregivers often appreciate beginning ABA therapy with a detailed summary of their child’s performance across skill domains. Just like with observation, it may be necessary to explain to the parents the point of assessment, and what their role should be while you are assessing their child. Parents may try to prompt or help their child, such as telling the child “Say blue…c’mon, say blue. I know you can say blue”. It is difficult for parents to watch their child miss assessment responses or fail to respond, so be patient and help the parents understand why they cannot prompt responding. Goals – Program goals can be created during the intake process. I approach goal setting with a team approach: I need to know from the parents what is important for them, and then I tell them what deficits I see. This is also a great opportunity to help the parents create goals for themselves, for example being able to implement a DRA procedure independently with their child. It isn’t unusual that the family may have goals in mind that are currently unrealistic. It may be necessary to help explain the pre-requisite skills necessary for a specific goal, as well as the required consistency across environments in order to see progress. Policies & Procedures – If you work for a company, the intake process will often include signing important paperwork, completing contracts, or going through consent forms with the family. Even if you work independently I recommend using the intake process to go over your individual policies or rules, such as: Do you work with ill children? Do you work on holidays? 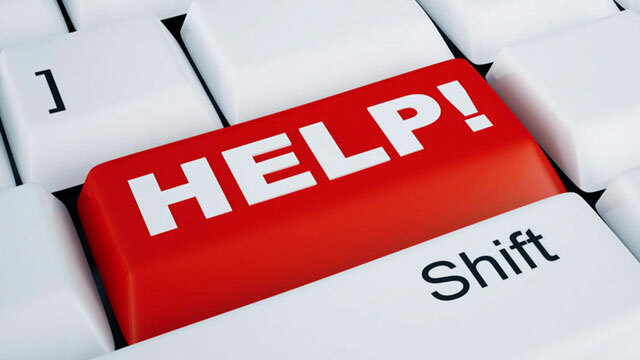 Do you provide therapy materials and supplies? Do you transport clients in your vehicle? I recommend having these policies in writing, discussing them with the family, and then having them sign to indicate acknowledgement of the policies. 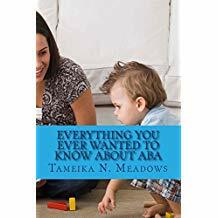 Parent Education – If you are conducting an intake assessment for a child who has never received ABA services before, the family may be completely unaware of what exactly ABA is, how it works, what you will do with their child, how intensive treatment will be, etc. I always include in my intake assessments a portion of time for the family to ask questions of me. I encourage them to ask me about my background, my training, my relevant work experiences, ABA, the treatment plan, what to expect from therapy, etc. Especially after a professional has interviewed them for a few hours, some families may be too intimidated to ask the important questions. Gentle nudging may be necessary, such as asking the family if they understand the commitment level required, or asking the family how program information will be shared with the school staff. This can often get a shy or reserved family comfortable enough to start asking questions. I also use this portion of the intake assessment to explain my expectations for the parents, and review my Parent Participation Policy. Thanks for this post! I've pinned it for future reference. Thank you so much for this post! I was just about to start typing one of these out for myself and then found this post. I love reading your blog and as a BCBA I really appreciate your point of view, especially when it comes to the hard parts of our job.